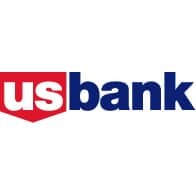 US Bank has expanded its NFC mobile payment service for iPhone users nationwide following its beta test in Salt Lake City and Portland earlier this year. The Go Mobile service is now available to anyone who signs up and qualifies for a FlexPerks Visa card and has the iPhone 4 or iPhone 4S. Customers who qualify for a FlexPerks Visa card and opt in for the service will receive a customized US Bank Go Mobile iPhone case, made by DeviceFidelity, that also extends the battery life of their iPhone by more than 50%, along with their new card. Both the card and the iPhone case are personalized by Datacard.